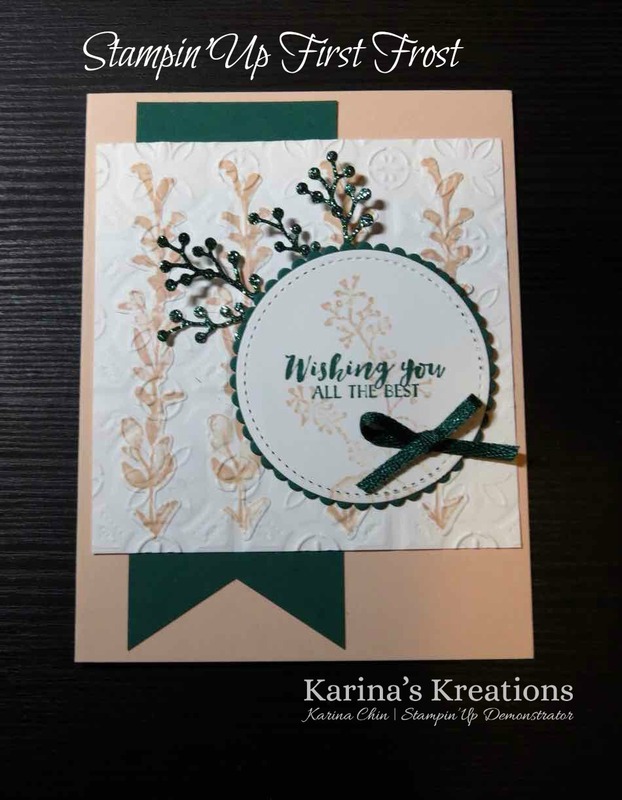 Karina's Kreations: Stampin'Up First Frost Card! The First Frost stamp set by Stampin'Up is very versatile and can be used for all kinds of Occasions. I made this pretty First Frost card for a swap. The challenge was to use the Big Shot. The vine image was stamped 4 times on Whisper White card stock with Petal Pink ink and cut out with the coordinating framelit. 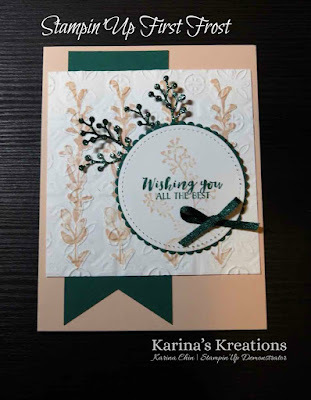 I glued the vines to a piece of 4" x 4" Whisper White card stock and ran it through the Tin Tile embossing Folder. 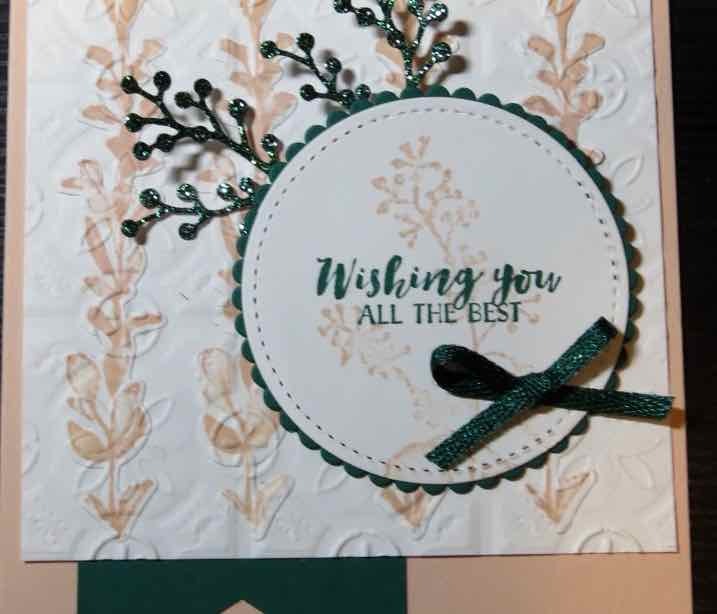 This gives the card stock a great textured look. Here's the rest of the supplies for my project.